Mandela (Nelson) - discussiongroup's JimdoPage! 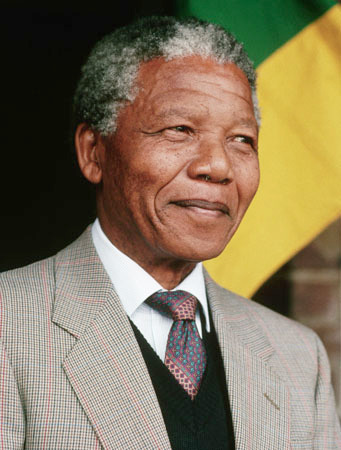 Nelson Rolihlahla Mandela was born in Transkei, South Africa on July 18, 1918. His father was Chief Henry Mandela of the Tembu Tribe. Mandela himself was educated at University College of Fort Hare and the University of Witwatersrand and qualified in law in 1942. He joined the African National Congress in 1944 and was engaged in resistance against the ruling National Party's apartheid policies after 1948. He went on trial for treason in 1956-1961 and was acquitted in 1961. The Memory Programme offers an integrated information resource on the life and times of Nelson Mandela, giving members of the public, scholars and fellow memory institutions across the globe access to relevant information, primarily through the internet and mobile phones. The programme also prioritises advocacy work around access to information, dealing with the past, and related issues.